[i] The 'OpenVAS NVT Feed' is provided by 'The OpenVAS Project'. [i] Online information about this feed: 'http://www.openvas.org/openvas-nvt-feed.html'. [w] Could not determine feed version. [i] rsync is not recommended for the initial sync. Falling back on http. ...... Please report synchronization problems to openvas-feed@intevation.de. Send us the log-file (/tmp/openvas-check-setup.log) to help analyze the problem. OK: OpenVAS Scanner is present in version 5.0.1. 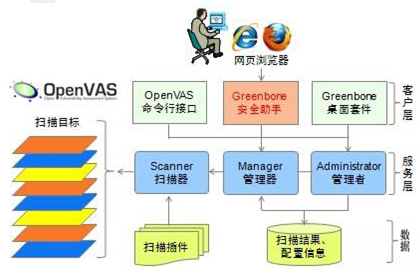 OK: OpenVAS Scanner CA Certificate is present as /var/lib/openvas/CA/cacert.pem. OK: OpenVAS Scanner server certificate is valid and present as /var/lib/openvas/CA/servercert.pem. OK: NVT collection in /var/lib/openvas/plugins contains 40087 NVTs. WARNING: Signature checking of NVTs is not enabled in OpenVAS Scanner. SUGGEST: Enable signature checking (see http://www.openvas.org/trusted-nvts.html). 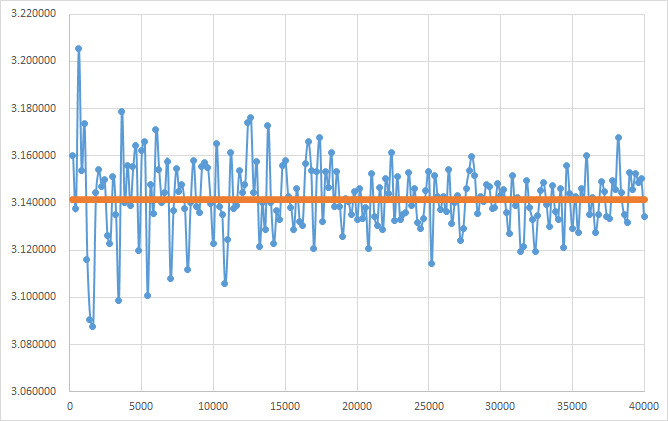 OK: The NVT cache in /var/cache/openvas contains 40087 files for 40087 NVTs. OK: redis-server is present in version 2.4.14. OK: redis-server is running and listening on socket: /var/lib/redis/redis.sock. OK: redis-server configuration is OK and redis-server is running. OK: OpenVAS Manager is present in version 6.0.1. OK: OpenVAS Manager client certificate is valid and present as /var/lib/openvas/CA/clientcert.pem. OK: OpenVAS Manager database found in /var/lib/openvas/mgr/tasks.db. OK: Access rights for the OpenVAS Manager database are correct. OK: sqlite3 found, extended checks of the OpenVAS Manager installation enabled. OK: OpenVAS Manager database is at revision 146. OK: OpenVAS Manager database contains information about 40087 NVTs. OK: OpenVAS CERT database found in /var/lib/openvas/cert-data/cert.db. WARNING: Your password policy is empty. SUGGEST: Edit the /etc/openvas/pwpolicy.conf file to set a password policy. OK: Greenbone Security Assistant is present in version 6.0.1. OK: OpenVAS CLI version 1.4.0. SKIP: Skipping check for Greenbone Security Desktop. OK: netstat found, extended checks of the OpenVAS services enabled. OK: OpenVAS Scanner is running and listening only on the local interface. OK: OpenVAS Scanner is listening on port 9391, which is the default port. WARNING: OpenVAS Manager is running and listening only on the local interface. outside using GSD or OpenVAS CLI. OK: OpenVAS Manager is listening on port 9390, which is the default port. 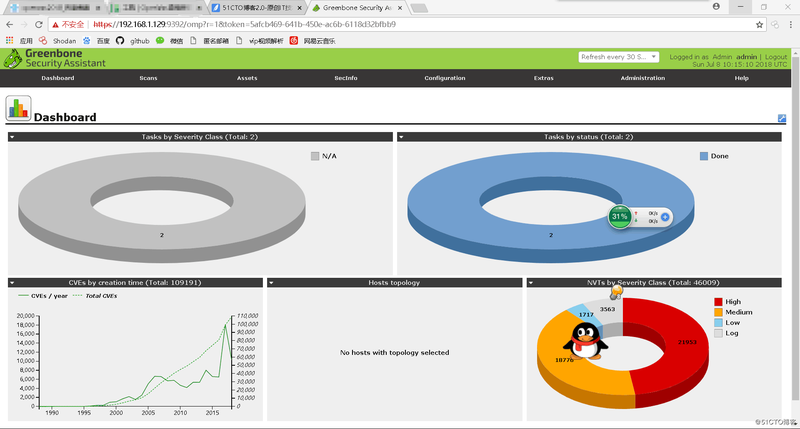 OK: Greenbone Security Assistant is listening on port 9392, which is the default port. SUGGEST: You should install nmap 5.51 if you plan to use the nmap NSE NVTs. OK: PDF generation successful. The PDF report format is likely to work. OK: ssh-keygen found, LSC credential generation for GNU/Linux targets is likely to work. WARNING: Could not find rpm binary, LSC credential package generation for RPM and DEB based targets will not work. WARNING: Could not find makensis binary, LSC credential package generation for Microsoft Windows targets will not work. It seems like your OpenVAS-8 installation is OK.